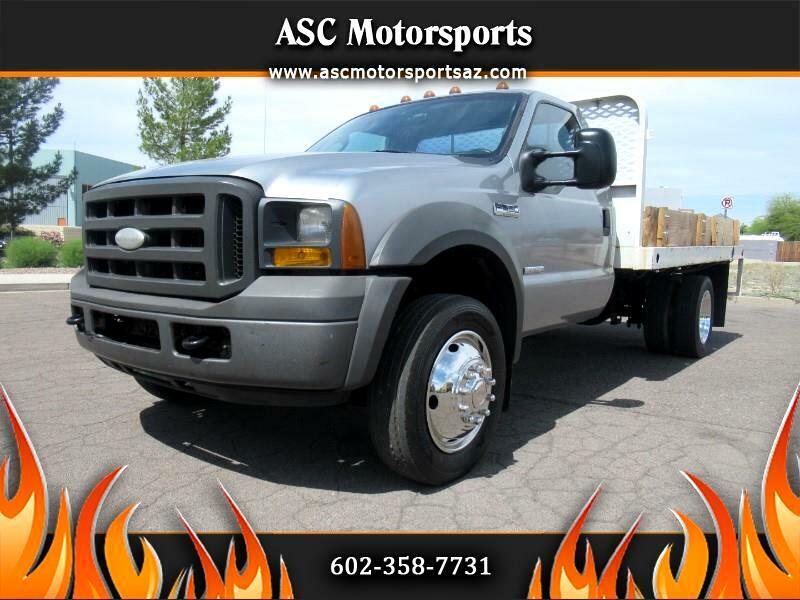 2005 FORD F450 6.0L V8 2WD FLATBED DIESEL POWERSTROKE!! Great work truck! 12F L and 8F W Flatbed, Ice cold A/C, Power steering and brakes, Tinted windows, Tow package, Full size spare tire, 19.5 wheels and tires w really good tread. AM/FM satellite radio, Aux audio Jack, etc... Come out for a test drive; she may be exactly what your business is missing! Priced at only $7,888 + Tax, Title & Doc. Fees!!! ?Warranties~ All vehicles come with our limited implied warranty for your peace of mind. Extended service contacts at extremely affordable prices. Gap insurance also available.